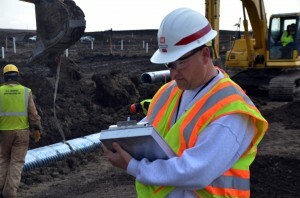 Superintendents play a vital role in any construction project. But it's not simply enough to have one on board to ensure a good outcome for your project. You need one who is successful in their endeavors. Successful means a superintendent who works effectively with every aspect of a project to get it done on time, on budget, and safely. Such successes result in profit and future work for firms. Obviously, a successful superintendent is one you want to have on a jobsite all the time. So what attributes should firms be looking for in hiring such superintendents? And even more importantly, what can they contribute to ensuring that these successes continue? Also see our 5 Traits That Make an Effective Construction Superintendent. Good Communication SkillsConstruction superintendent duties should also include good communication skills. This applies both verbally and in writing. And given construction's evolving workforce, the ability to do so in more than one language doesn't hurt either. Ability To Be FlexibleThe subcontractor is behind schedule. A comet smashed into the widget factory. Your vitally needed widget delivery is going to be a bit late. And next week's weather isn't looking promising. While no one wants to go through life assuming the worst, successful superintendents are skilled at drawing up (and modifying!) contingency plans for life's little surprises. Ideally, firm management should also be so comfortable with a superintendent's people skills that they allow that individual to make award nominations and appoint de facto supervisors among work site staff. Firm managers can also make it easier to find and recruit the best field superintendents by being willing to purchase new technologies, permitting training time, and providing opportunities for professional advancement within firms.